Today was a typical day, really busy with lots happening both expected and unexpected. The morning started with a managers meeting within our department - we concentrated on confirming progress of current activities and projects as there is so much happening which is time critical for next week and the start of term. I then had a brief meeting with a visitor (who is also a friend) who had come to see someone else in college but called in to catch up. Then the men from the 3D company arrived (thankfully) with the latest version of our 3D induction experience. The rest of the computers have been added and an introduction and finish and chairs for the people etc. It's cool. There are a couple of other bits to add but we can go with what we've got on Monday if need be. The other main thing that we need to practice is our Curriculum Liaison presentation which we deliver to teaching staff. Our first slot at a dept meeting is next Friday 9th but we won't have time to think about it next week once the students are back. We've created a new updated Prezi which looks great and everyone including the Curriculum Liaison assistants who play a vital part are happy. Just as everything seemed to be under control, an unexpected problem with our VLE cropped up. Unbeknown to us Registry had changed some course codes so that the courses that we rolled over are, in some cases, not correct. It's just one of those things but luckily by chance we discovered it today not on Monday otherwise we would have have some students not appearing on the correct Blackboard course. As usual we thought of a plan i.e. either to flag each incorrect course to a new correct one or to rerollover the incorrect courses. We decided to go for the second option. It will mean one day at most downtime, tomorrow so I dashed around getting the ok and informing people and then our brilliant eLearning Manager & eLearning Technologist got it underway. Fingers crossed. Tea & cake then I reviewed and made changes to the Interactive Whiteboard voting system presentation that I've put together to use as feedback at the end if the student inductions. It's going to be ok, will try it out on everyone tomorrow. The purpose is to collect the student feedback straightaway at the end of the induction session rather than later in the questionnaire. Mentoring is a very rewarding and valuable part of a professional career and is definitely worth participating in whether formally or informally. To be a mentor is a big responsibility as you want to provide the best support and encouragement that you can. I have mentored formally and informally both while I was teaching and also in my current role. In a teaching capacity the mentoring was on a formal basis for trainee teachers while on placement at the school and involved following specific tasks and feeding back on observations. I enjoyed it as I knew how it felt and how important it was to 'get through' the requirements. The advantages of a prescribed framework are that the requirements are clear to both sides but I was lucky that the people I was involved with were conscientious and hardworking. In my teaching role I was mentored formally and informally by the Head of Department. When I moved to my current role I looked for a mentor who was external to the organisation. This was for a number of reasons. The line management of my role was changing and indeed the deaprtment as a whole was new and still settling down. I wanted to be advised by someone who was detached from the College who would deliver impartial advice and also someone who was very experienced. I was lucky to find a person at the University who was excellent and I really appreciated the help that they gave me. More recently my line manager was a good mentor in an informal way. I haven't been a formal mentor recently but have done so in an informal way for members of my department. I have also been involved in mentoring the modern apprentice that has been working in my department. Personally I think it is good to have someone separate from your department because the parts that I have found the most useful are not the specific career advice or progression but the general advice and a different perspective on any issues that happen. Experience of staff management is invaluable and also general encouragment and support. Someone to reassure you that you are doing the right thing, tell you if you're doing the wrong thing and generally have your best interests in mind. I've used Evernote a few times now for notes and find it useful and straightforward to use. I've downloaded the App for my iPhone and have accessed it from there too. Today is the first day of enrolment at our college, Middlesbrough College. It is a really important time and is organised to ensure that the students have a positive experience and find the course that is suitable for them. Various management staff throughout the college are on a rota to meet and greet prospective students at the entrances and make sure that they are directed to the designated subject areas for enrolling. I'm doing a 2 hour slot most days this week and next. I quite like doing it as it's important to make students feel welcome especially in a large building like ours which could feel overwhelming but is in fact very friendly. We have started planning our student induction sessions for September. The sessions play a large part in the work we do in the first half term and last year delivered sessions to more than 3000 learners. For the last two years the sessions have been 'hands on' practical sessions for groups of 20 or 25. They consist of an introduction giving information about the LRC and College systems and then all the students log on to the system, to Blackboard, to their college email account, access the e-books and set up their printing accounts. The sessions have worked well because we know that once students have completed the sessions they have all the information, and skills, to use the resources that are available to them wherever they are in the College. We find they have less problems throughout the year so have a better learning experience. This year we are changing the format of the sessions to make them more upbeat and incorporate a 'wow' factor hopefully. They will start with a 3D walk through (see previous post) then there will be a practical session to ensure everyone can log on to the various systems and resources including the e-Books. The final part will be a quiz using the Interactive Whiteboard Voting sets - 10 quick questions about the LRC or about the VLE and some feedback to find out what the students think of the induction sessions. We won't explain all the detail such as opening times, loans, fines etc. because it is boring (though essential) and they forget it anyway but will have a booklet outlining the facts for them to take away. Our target is to deliver the sessions to 3500 learners in the first 6 weeks of term. Last week week we made progress with the 3D Induction experience that we are having created by 3D Amazing Interactives. We first got the system through being part of the Becta Technology Exemplar Network a couple of years ago and used the standard applications that came with the system. We set it up in the main reception area of College and have used it in classrooms in lessons. The main applications that the students enjoyed were the supermarket, the 3D heart and body, the space and planets and the plane and train travelling. The idea this year was to see if we could create the equivalent of the supermarket but in the Learning Resources Centre by creating a 3D walk through with events e.g. books 'flying' off the shelves rather than food items. After talking to the company we decided to split the project into two parts - the first will be a directed walk through of the LRC with 6 or 7 events when a 3D instance happens to give information. This is based on a model of the LRC which has been created and will be shown at the beginning of our LRC / IT inductions at the beginning of term. The second part will be an 'at seat' Way-finder which will enable students when they are using a computer to search for items including books and printers and it will show them a route to their destination. We went to have a look at the draft model and application last week - it looks really great - it's not finished yet and it doesn't have the events or destinations programmed in but I'm hopeful. It is definitely one of those projects that is planned but evolves and develops as you go along and I've still got my fingers crossed that it is going to work. If it does and we can use it as the 'wow' factor at the beginning of the inductions it will be a brilliant learning experience for the students (and great fun). I'm doing a further post about Thing 7 as when I looked back to what I had written last week it wasn't very good, in fact it was decidedly poor. So this post is about professional networks. The professional network that I belong to that I value the most is the Association for Learning Technology (ALT). I first became a member in 2007 when I moved from teaching to e-learning and decided to become an individual member as well as being involved as the representative of our institutional membership. E-Learning and learning technologies are the areas that I'm really interested in (immersed in, passionate about) and I'm glad that I have the opportunity to work in an area that I enjoy so much. ALT provides a wide variety of 'benefits' including events i.e. training events and conferences, information about learning technologies from people that are involved and are experts in the field, a means and a method of collaborating and sharing information and experiences and access to publications and papers. I have been a member of the Further Education Committee for the last 2 years and have gained a great deal from my involvement especially from the other members of the committee. I think it is important to try to play an active part in professional bodies and organisations mainly for the sake of the other members and the organisation as a whole but also because it adds validity and substance to your own practice. I have until recently been a member of the British Computer Society. I was a member of the Teesside Branch and a member of the committee and attended meetings regularly. However it became a bit too techie and dull so I have lapsed but I might take it up again in the future. I haven't joined CILIP as yet but will probably do so in the next few months. I do follow their activities closely and from an external or objective point of view the benefits of doing so are increasing. Professional bodies and organisations do, I feel, have a responsibility to represent their members in a way that is relevant and open. I don't think it should be taken for granted that because you are qualified or working in that profession that you must join that professional body. The expectations of members and potential members are high and it requires commitment from both sides. I am a member of the Institute for Learning (IfL) which is the professional body for teachers and trainers in further education. It was introduced three years ago? or at least that is when it became mandatory for teaching staff at our college to be members. The requirement was to complete 30hours CPD and to record it. There is a facility to use Reflect which is the Pebblepad e Portfolio to keep CPD assets which is good but apart from this the benefits are not apparent. The other QR code related activity which is under way is a 'Treasure Tour' of the LRC. This is a variation on the theme of an independent tour of the LRC that students, staff and visitors can do and that last year we created as a podcast tour. This year there are a variety of posters containing a QR code which, when scanned' gives a brief description such as 'Welcome to the LRC and the QR code tour - make your way to the fiction section to find the next clue'. The QR code does not lead to a link but just to a short amount of information to lead people from one location to another. Again our eLearning Technologist and LRC Assistant apprentice have come up with some brilliant solutions to my vague ideas e.g 'How about we have a QR code treasure hunt?'. The posters are really great - I'll post some pictures when it is complete - I like the one for the Multimedia room which has a pacman theme with the QR code in the middle. When I was testing it the problem that I ran into was that the App that I had installed on the iPod Touch wasn't scanning very well so I'm in the process on downloading a different one. Also the posters with the QR codes on needed to be fairly flat, either vertical or horizontal not 'on a slope' like on a journal shelf as it was more difficult to scan. I'm hoping that we will have a few iPod Touches that can be used by students / visitors when they come into the LRC to follow the self directed tour. The only decision now is whether to have any treasure at the end and where to hide it. We have made progress with our use of QR codes. We have a whole list of ideas and possibilities but I was keen to get something up and running and actually available to use. So the first task was to create some A5 mini posters which would be displayed on the book shelves / bays which would be linked to searches for specific topics on the library catalogue. 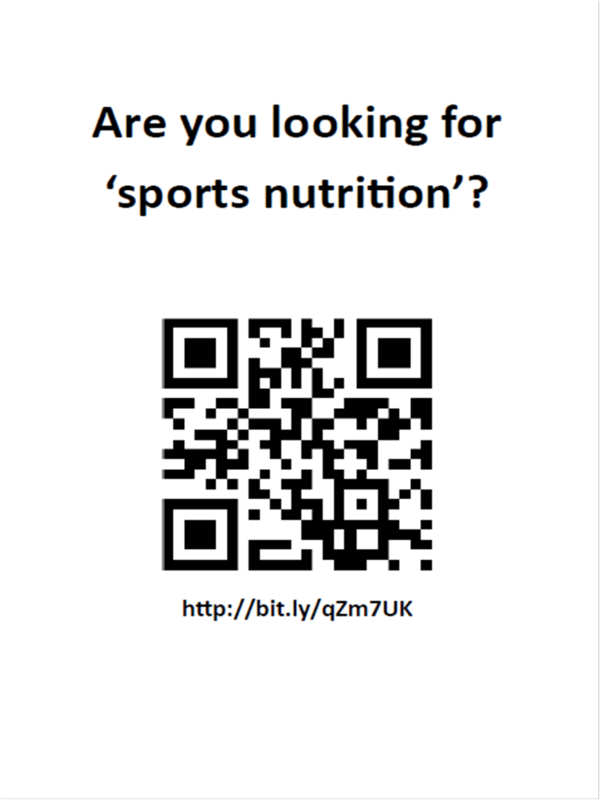 For example if you were looking for 'Sports' books or 'Catering' books then there would be a QR code displayed which when you scanned it would lead to the search results on the library catalogue (OPAC). Our eLearning technologist produced a help sheet explaining how to create a QR code from the url from the search on the OPAC and then each member of the staff of the department had to produce one. I thought that this would be particularly useful for Curriculum Liaison LRC Assistants as they could produce one or two which were for their subject area and they would know the most common search criteria. Our LRC Assistant Apprentice is in the process of printing them out and displaying them in the appropriate locations. It is sometimes quite nice and sometimes quite daunting when an online network has a face-to-face meet up. I was keen to go to the cpd23 one in Newcastle that was organised by Shannon Robalino but unfortunately already had another commitment that evening but I'm hoping to go to any future events. I think it might be easier sometimes if you have a face-to-face meeting first and then collaborate online although I'm not sure about this. Either way it's good to have a mixture. The thing about Online Networks are that there are so many and the rate of growth of such networks is rapid. I have been on Facebook for quite a few years now, about 5 I think, and despite it's many faults and critics, I like it. It has changed in the last 2 years in that it is more susceptible to spam and viruses and the audience is younger but it is still great. The main benefit is that it's easy to use and a quick way of keeping in touch and sharing photos. I deliberately don't have many friends, 85, and they are nearly all people I know who I have met face to face. I use it via the app on my iPhone most of the time. The developments in the last 2years that I think are useful are that institutions such as libraries have pages. 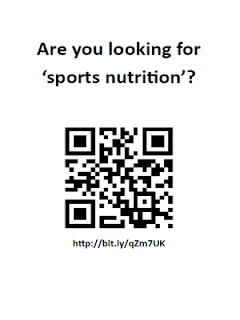 We have one for our LRC which is useful for informing students about news and events. Also other groups that I'm involved in have pages such as the JISC ILT Champs and we have set one up for the JISC RSC Northern e-Learning Group. LinkedIn is the one online network site /facility that I find slightly difficult and I'm not sure why. I see the point of it but the interface doesn't appeal but I'm persevering with it and have quite a few connections. They are people that I am or would like to be connected with and involved with through my professional life. I think it is important to decide how you are going to each network even if the decision is that you are going to use it in a flexible way. I use Facebook predominantly for people I know and know well as friends. Twitter I use as a one stop shop to disseminate anything and everything that is of interest to me and hopefully to others. i always make sure that what I post is suitable and appropriate for anyone to read. LinkedIn is more calculated to some extent in that I want to make a connection with someone I'm likely to collaborate with in a work environment. I have yet to try Google+ so I'm not sure what that will bring - have I got time for yet another online network and blogs?